Pictured, from left, Mark Tweedie, CEO Active Northumberland, Lynn Blain, Ponteland Primary School headteacher, Coun Peter Jackson, Brian McQuade and Jim Balkwill, deputy headteacher at Ponteland High School. Northumberland County Council has awarded Kier Construction the major development to create a combined schools and leisure campus in Ponteland. There will be state-of-the-art facilities in all of the new buildings for the project, which will include a secondary school and primary school. The leisure centre building will have a swimming pool, fitness suite, community facilities, badminton courts, Clip N Climb, soft play, outdoor sports fields, a full size 3G pitch and a library. The multi-million pound development will also see a new build fire station for Ponteland. County council leader Peter Jackson said: “I am delighted that the contract has been awarded to Kier Construction, which is local to North East, and we are confident that we can now guarantee the best possible value for money for our residents and communities, as well as growing the local economy through the construction contract. The existing Ponteland Leisure Centre will be demolished and additional land at the site will be used for the project, although there will be new sporting facilities to replace those lost to new buildings. 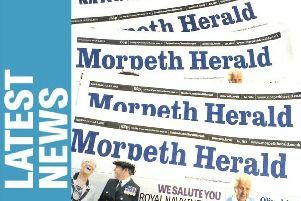 As a result, temporary classrooms are required at the current Ponteland High School site by September next year when it becomes an 11 to 18 secondary school and a planning application for a two-storey temporary classrooms building was approved unanimously by members of the county council’s strategic planning committee on Tuesday. Ponteland High headteacher Kieran McGrane said: “We’re pleased that the new contractor is in place and it’s encouraging to have a developer of Kier’s standing in the industry carrying out the works. “We will be able to make the best of the situation for 12 months before hopefully being able to move into the new buildings for September 2020. “In fact, it could be a blessing in disguise as there will just be a new Year 7 intake in the new location rather than having three new year groups at the same time starting there in September 2019. “The main issues we’re currently planning to deal with for 2019/2020 are what happens at the end of lessons and break and lunch times with 500 extra students on site. While the 11-week tendering process has taken place, the county council ensured that preparatory work has continued on site. Tree pruning and service investigations have been carried out, alongside a period of newt-trapping in order to safely re-house any protected species. Brian McQuade, managing director of Kier Construction Scotland and North East England, said: “Working collaboratively with Northumberland County Council, we are looking forward to delivering the Ponteland development that will bring huge benefits to the local area. “We have a strong track record in delivering first-class educational and local community buildings and our aim is to create, with the client team, learning environments in which students can thrive.